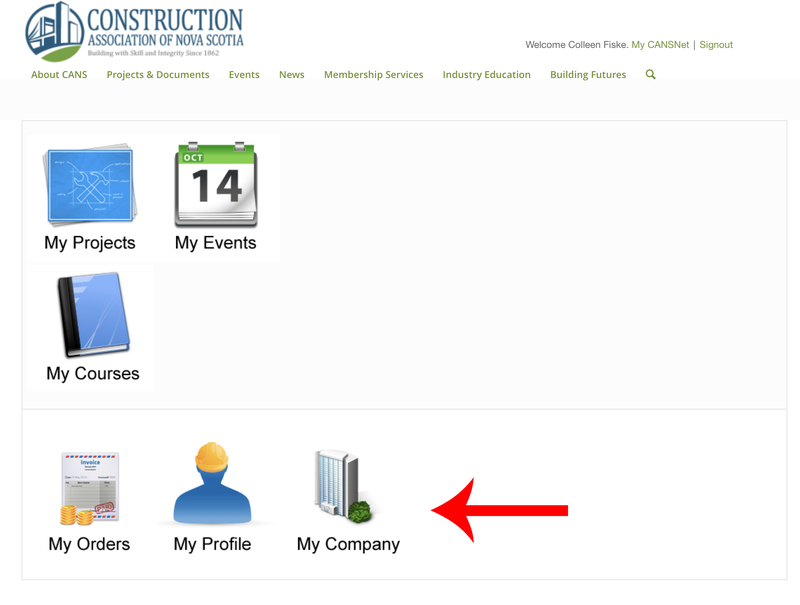 **NOTE: Profile Admin – It is IMPORTANT for you to indicate how your company will be found in the NS Construction Guide ‘Sources’ section. Please refer for Step 4 for more information. 2. Click MyCANSNet in the top right corner. 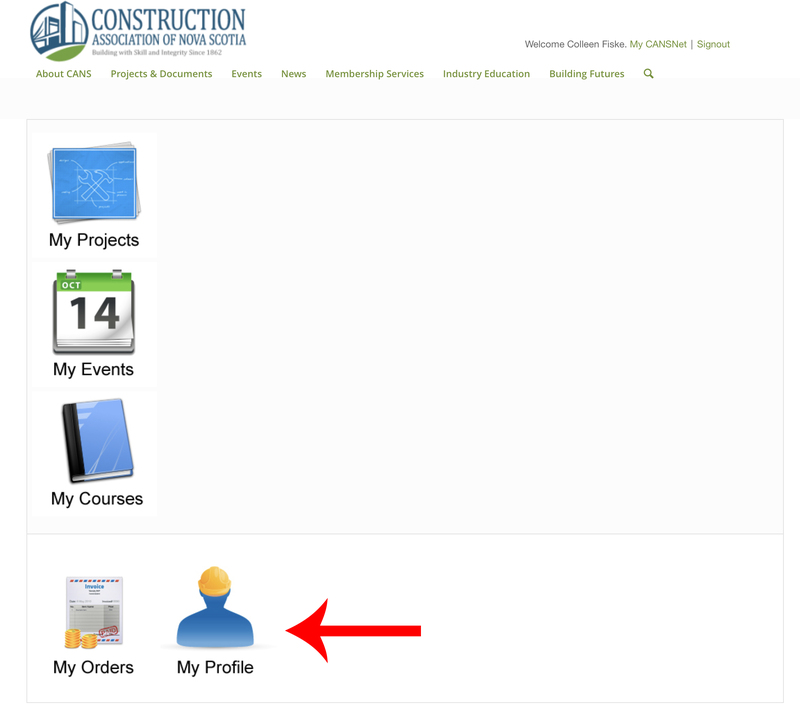 NOTE: Please scroll to the bottom of the web page and ensure your company is listed under the proper Trade Codes. Click ‘submit’ once complete. WHO IS MY PROFILE ADMIN? A company Profile Admin is the person who updates your company page on CANSnet to ensure accuracy of company name, address, phone number, etc. Here is how to check who your Profile Admin is. Please contact Colleen Fiske for more information.